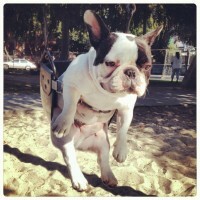 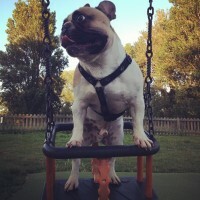 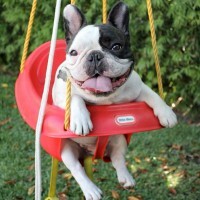 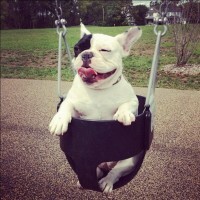 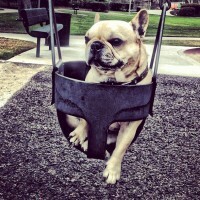 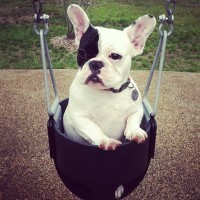 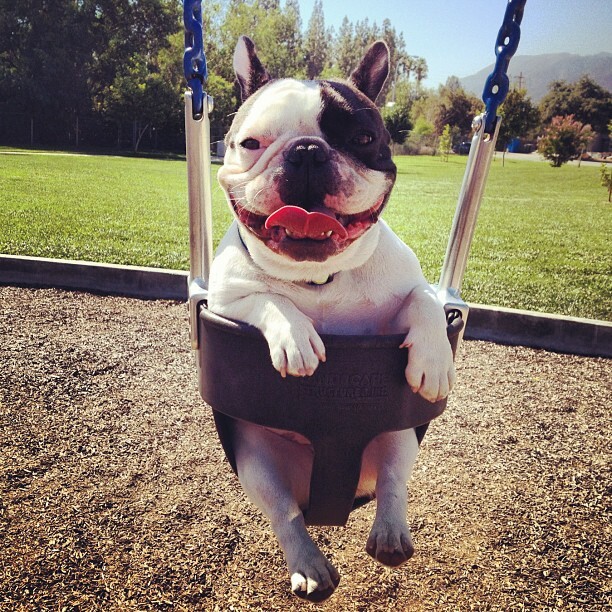 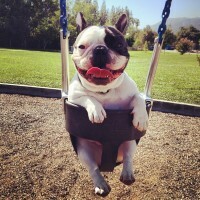 Here’s something that makes us smile every time: pictures of bulldogs in baby swings. 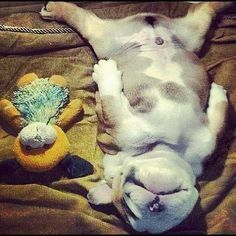 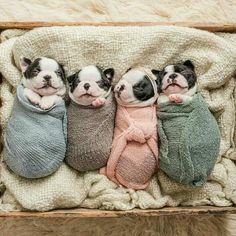 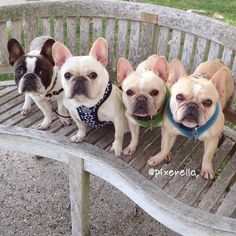 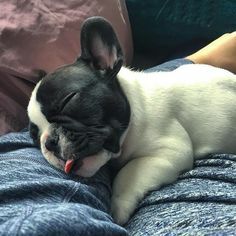 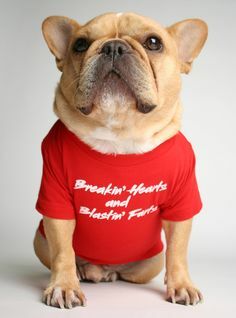 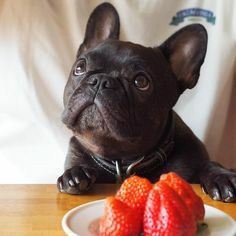 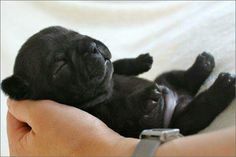 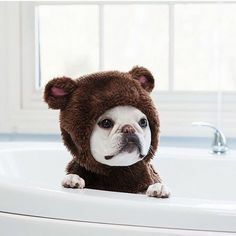 Check out these shots from some of our instagramming frenchie pals! 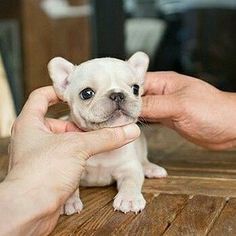 Updates and Additions to the Collection! 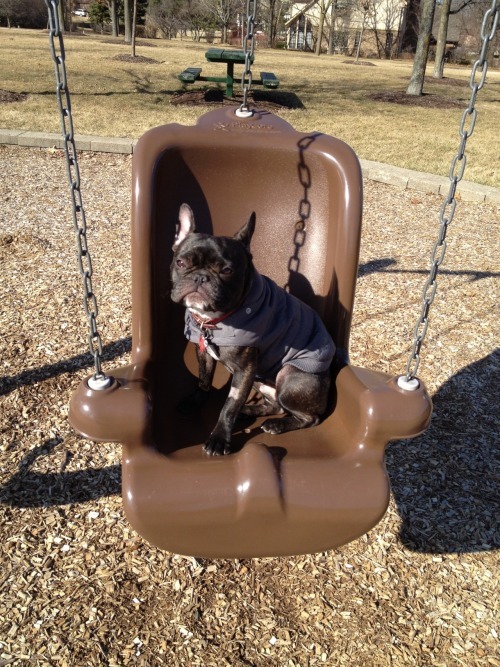 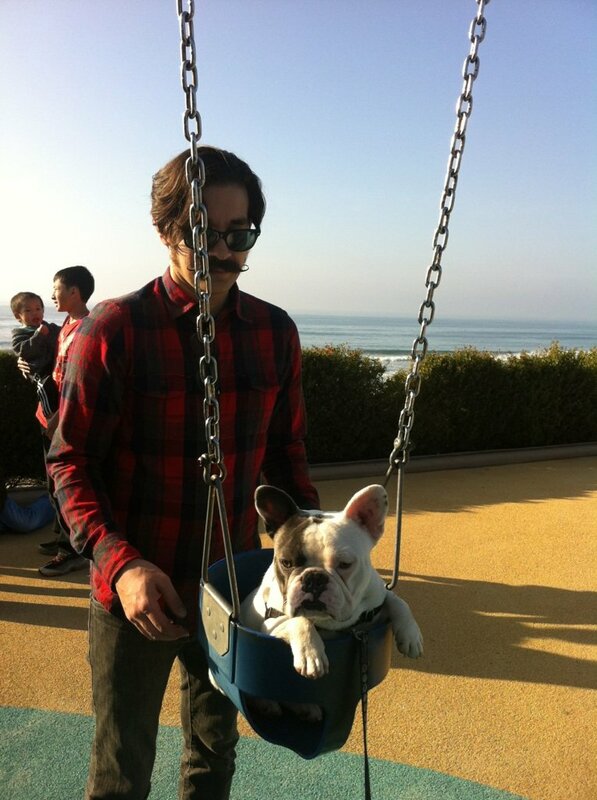 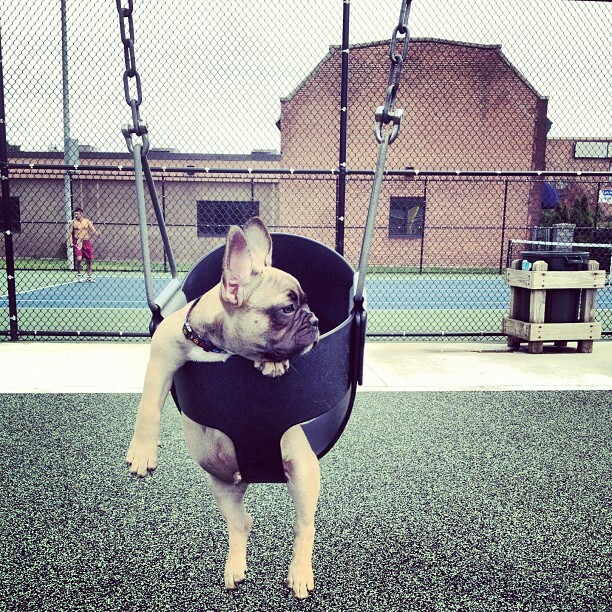 Reader Ryan’s bat pig/Frenchie Boogaloo swinging like a pro!